To deliver a world class programme of scientific research, national capability and long-term observations, concentrating on the regional and global role of polar processes in the Earth system. 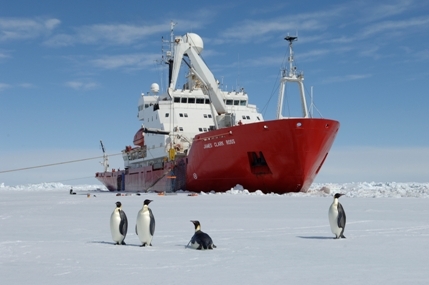 Through our science and impact sustain for the UK an active and influential Antarctic regional presence, and a leadership role in Antarctic affairs. The British Antarctic Survey organises its activities from its UK headquarters on the outskirts of the city of Cambridge. The original building, constructed in 1975, has been extended twice since then. It now provides offices, laboratories and workshops to support all the scientific and logistic activities in the Antarctic. The BAS office in Stanley books all accommodation for BAS personnel transiting through Stanley – both south and north-bound – and arranges transport to and from ships/aircraft. We also support BAS personnel requiring medical or dental assistance by arranging appointments and follow-up action taken as necessary.